While clinical telemedicine is undoubtedly making huge strides into the world of mainstream healthcare, it's always helpful to gather as many proponents and voices of support as possible when trying to introduce a new technology or process into the industry. Some heel-draggers may still be worried about insurance reimbursement or other cost-related hurdles, or may even harbor doubts as to the payoff of spending time and money to introduce clinical telemedicine into their practices. When it comes to recruiting allies, however, there are few more impactful friends than veterans of the armed forces. This portion of the population has a close relationship with the healthcare industry. This makes it particularly significant that many within the armed forces and within the medical community alike have determined that clinical telemedicine can provide major benefits not just for active-duty soldiers, but for veterans as well. If you were ever in doubt as to the widespread usefulness of developing clinical telemedicine technology further than it's already progressed, look no further than the U.S. Department of Veterans Affairs. This office represents one of the most specialized branches of the healthcare industry, as veterans often have significant physical and mental health needs that must be addressed on an ongoing basis. In other words, there is a persistent and ever-growing need for effective healthcare services for this population. In an attempt to help meet this need, the VA has begun turning to clinical telemedicine to augment and supplement existing medical services. According to FierceHealthIT, the partnership between telemedicine and veterans health officials has expanded significantly in the past years. 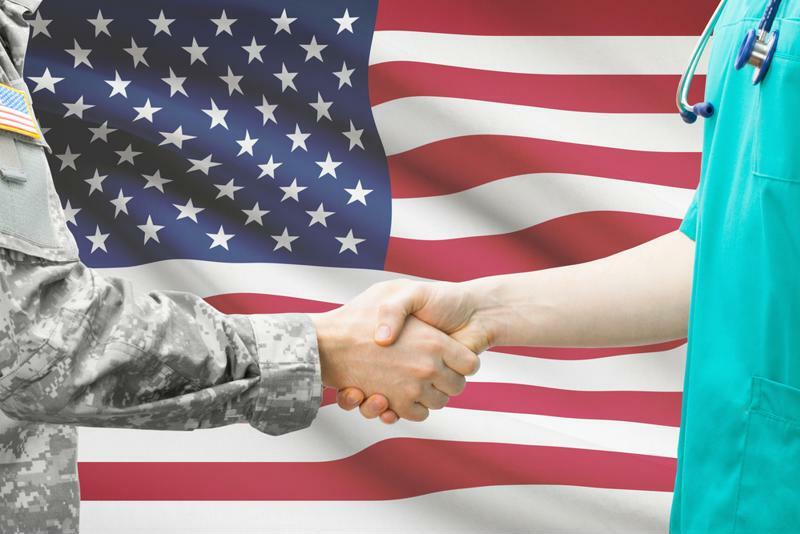 The source reported that in the 2014 fiscal year alone, 690,000 veterans received treatment via telemedicine. This accounts for around 12 percent of all healthcare-enrolled veterans in the country - a substantial fraction. Of these nearly 700,000 patients, 55 percent were reported to live in rural areas with limited access to standard healthcare. This doesn't appear to be a flash in the pan, either. The source indicated that the Obama administration passed the Veterans Access, Choice, and Accountability Act of 2014, which, among other things, allocated over $16 billion to the VA to further develop telemedicine services. Additionally, the bill mandated that any mobile VA clinics be outfitted for telemedicine services across a number of the specialized medical fields the VA treats. The VA has been a proponent of clinical telemedicine for over a decade. Few know the importance of the right tools for the job more than the military, and so it's fitting that the VA's efforts to further expand its telemedicine initiatives emphasize tools capable of covering a range of applications. While app-based consumer-focused telehealth is increasingly popular in all healthcare fields - not just veterans health - the VA is also investing heavily in clinical telemedicine. A report from the National Conference of State Legislatures cited one of the most important tools of the trade in this regard as video conferencing technology. Despite the name, video conferencing encompasses more than just face-to-face real-time video consultations between practitioner and patient - though that is a large part of it. While high-resolution webcams and secure, reliable Internet connections facilitate these types of meetings, VA health centers are also augmenting their telemedicine capabilities with remote medical devices and peripherals. This greatly broadens the scope of the services the VA is able to offer veterans who are too rural to have easy access to a metropolitan clinic. "The VA has one of the most developed clinical telemedicine programs in the U.S."
There are other organizations that are waving the telemedicine flag quite fervently, but the VA is one of the larger groups to do so - and it has been championing the cause of clinical telemedicine for over a decade. According to FCW, the VA has committed to investing in its clinical telemedicine growth every year since 2003. This extended investment period has left the VA with one of the most developed clinical telemedicine programs of any organization in the U.S., stretching across multiple facets of the industry. In addition to video conferencing and home-based self-monitoring, the VA helps facilitate more efficient communication among clinicians. Using the VA's My HealtheVet site, clinicians can remotely share test results, imaging data and other essential information that can be used for diagnostic and treatment purposes. The organization is constantly expanding its suite of medical care that it can offer thanks to telemedicine. One of the newer and more rapidly growing areas is the VA TeleMental Health program. While many mental health-focused telemedicine efforts involve patient-centric strategies such as mobile apps offering support, the VA's program uses the same technology leveraged to connect veterans with clinicians for medical consultations to provide the same type of real-time, hands-on treatment from mental health professionals. This development may largely have been driven by the ever-growing need for effective veterans mental healthcare as more soldiers return from Iraq and Afghanistan. For more information on how clinical telemedicine can help your practice reach more patients and increase your doctors' and nurses' efficiency, contact AMD Global Telemedicine today.